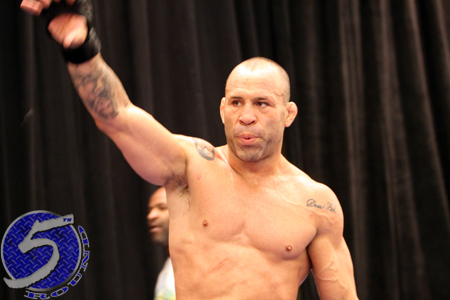 Despite losing seven out of his last 10 scraps, including June’s unanimous decision defeat to Rich Franklin at UFC 147, it appears former PrideFC middleweight champion Wanderlei Silva (Pictured) will live to fight another day. Over the weekend, UFC president Dana White was asked about the 35-year-old’s future. White said the Brazilian is “going to fight again,” but he wasn’t able to announce a date or opponent. No matter how many more trips Silva will take down the Octagon aisle, White previously promised “The Axe Murderer” will be with the UFC in some capacity for years to come. Silva owns an extensive 34-12-1 record, though he’s just 4-7 since joining the planet’s most prestigious mixed martial arts promotion in 2007. In addition to his duties inside the cage, which includes seven headlining or co-headlining UFC gigs, he has served as the ultimate PR guy for the company.